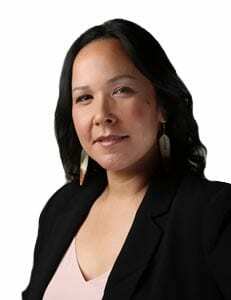 The chief of the Cat Lake First Nation says Indigenous Services Minister Seamus O’Regan needs to visit the community to see its housing crisis first hand. “To us it’s really, really critical, it’s life threatening,” said Chief Matthew Keewaykapo. “We lost elders from respiratory problems, we lost children. They can’t go to school because they have skin diseases. We have one medivaced to London, Ontario from playing in the mold in his house. In January, Cat Lake declared a state of emergency because of the poor housing conditions that are making children like Lucas Mezzetay so sick they have to be medivaced out for treatment. Keewaykapo said the ministry responded by sending officials to meet with them last week. 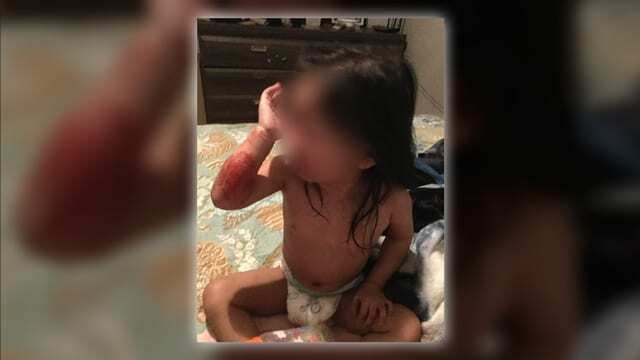 They were shown pictures of the skin conditions effecting children like Lucas, and Wynter, a two year old toddler who also lives in a home infested with mould. This week there was another meeting but this time NDP member of parliament Charlie Angus and Ontario member of provincial parliament Sol Mamakwa. They toured several homes in the community of about 700 people. “What I can’t get over is the complete breakdown of health I’ve seen,” said Angus who has also raised the issue in the house of commons. “We need a full medical assessment in this community. The leadership in Cat Lake says that constant exposure to black mould has been an ongoing concern for years. In 2006, Keewaykapo was the community’s health director. 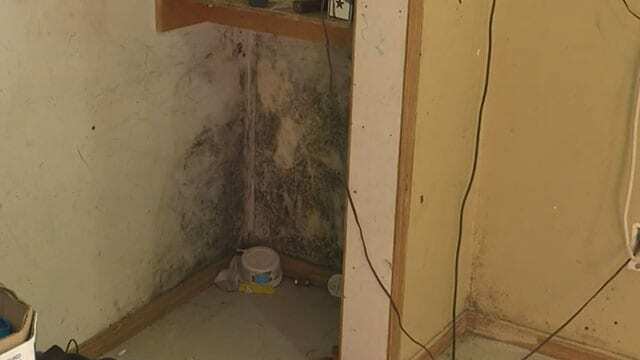 “And at that time already we were getting letters from the health department that there some kids that were being affected by the mold at that time,” he said. Health professionals are still issuing similar letters warning of the dangers of mould for young children. “Please consider relocation or renovation for this house as the allergens and poor heating may be a possible cause of (the child’s) symptoms,” said the letter from Dr. Ayesha Malik. The problem with that is there is no where for the two-year old and her family to move to. There are at least 60 families in Cat Lake who need housing. A recent inspection of more than 100 houses funded by Indigenous Services revealed what community leaders already knew. “A majority of the homes had mold. We had suspected all along that it was these illnesses,” said Keewaykapo. That’s just a visual inspection said councillor Derek Spence. He said there’s more you can’t see. “Because once opening up these walls it would expose a lot of the mold and we can’t really do that,” he said. On Tuesday, while Angus and Mamakwa met with chief and council, newly appointed minister O’Regan released a statement saying that plans to help Cat Lake are underway. “Establishing a community plan to replace homes that have been identified for full replacement,” the statement said. The statement said the following plans are in the works including, forming a task force between Cat Lake, Indigenous Services Canada, and Windigo Tribal Council, establishing a priority order for repairs, which will allow Windigo Tribal Council and the community to begin immediate work, establishing a community plan to replace homes that have been identified for full replacement. Keewaykapo said what he wants is a plan with some details. 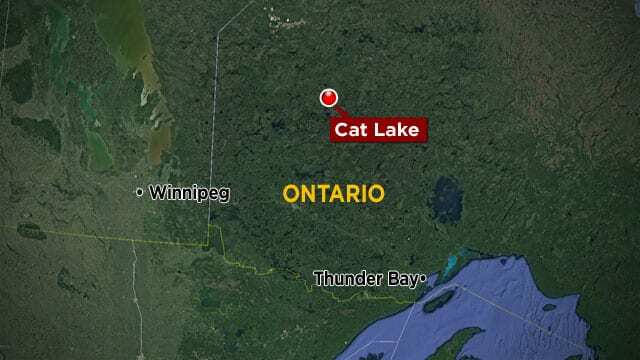 “We’ve talked to the minister twice, short phone calls, basically telling us we’re going to do what we can to help Cat Lake but other than there hasn’t been any timelines or dollars so we have nothing to work with to move forward,” he said. Keewaykapo said part of the plan they do have includes bringing in 40 mobile homes on the winter road for families most affected by mould. But that will required immediate funding from the government. “The government has seen this before, they’ve done nothing. A crisis of this magnitude doesn’t just happen,” said Angus. APTN News asked Indigenous Services if the minister had plans to travel to Cat Lake – a spokesperson for the minister’s office said the minister has not been invited to the community by the chief.